Please help me identify these two missing IC chips? I was trying to fix my power button but instead I think I bricked my phone. 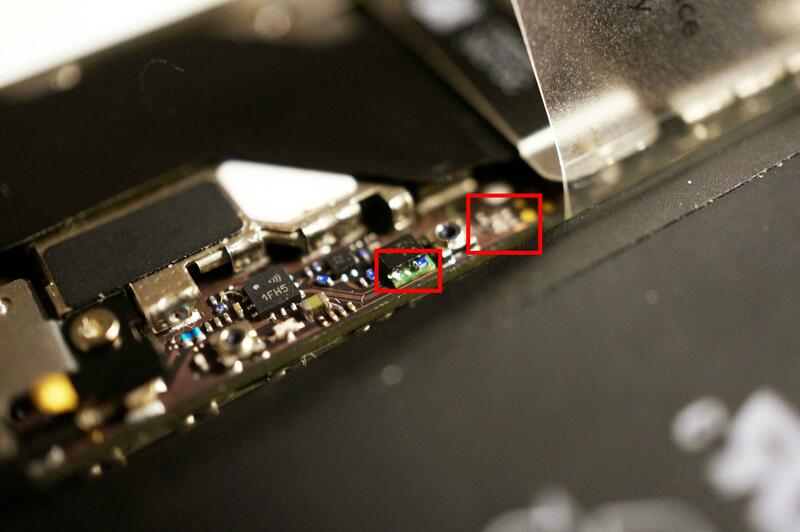 I think while trying to pry out the battery I broke off two IC chips. Currently my phone keeps searching for a signal and also the power button doesn't seem to work but I'm sure the button is functioning and properly plugged in. I've searched online and it seems the top (right) is a U18_RF. Can anyone confirm this? However I have no idea what the second (blue thing that looks like a resister) is. Can anyone help? Also where may I find these parts? Any good tips on how to resolder these on? I've done some some soldering before however just nothing this small and was wondering if there are any useful tips for tiny circuitry that I am unaware of. Thank you! 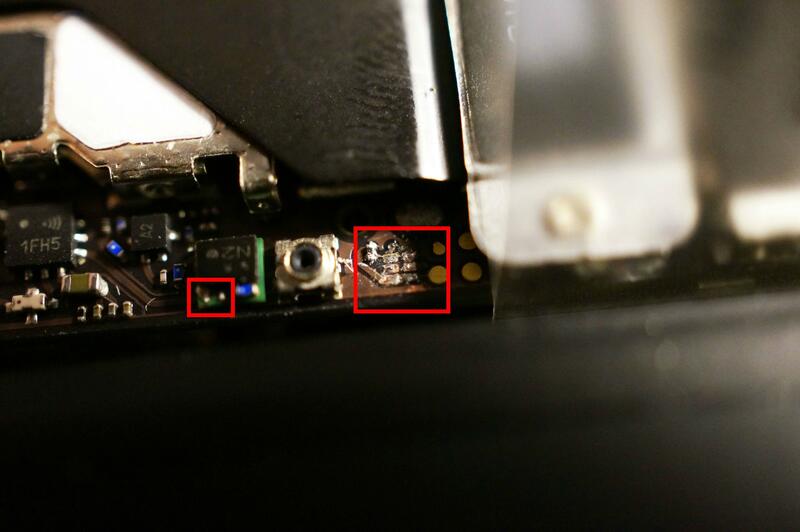 Heres a good pic showing the area of the components you damaged, sorry to say it doesn't offer much 4S Logic Bd. yingwang01, you got the U18_RF right. U17_RF is a SASLE1G58AA0F57 IC. The other component is U18_RF is a logic gate 74AUP1G08GF SOT891 package available right here. Here is the datasheet. U17_RF is a LGA IC and both components will require SMD soldering. This will give you a broad idea of how to solder those components. Hope this helps, good luck. Also might I add, where might I find the U17_RF? Thanks! yingwang01, I'll be looking out for that one. I know I've found it once before :-) Thank you for accepting my answer. Thanks a lot Oldturkey03. I see how you got 92.5k points! Looks like your antenna is no longer plugged in ! Try to fix it. Mabe did you lose the antenna cable. You can own a new one @ iFixit store. Tell ys if it worked ! If you can post an image of the exact IC, yes we can help you. yingwang01 zal eeuwig dankbaar zijn.